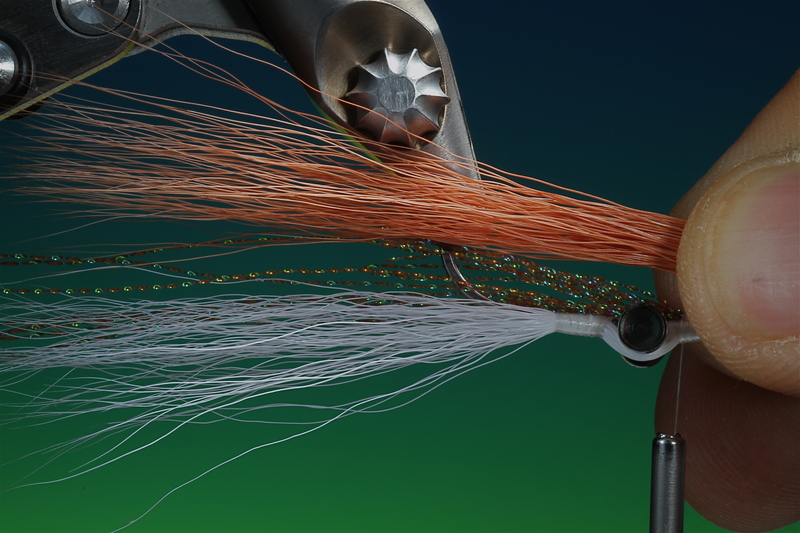 Bob Clouser is a well known fly tyer from Middletown USA. 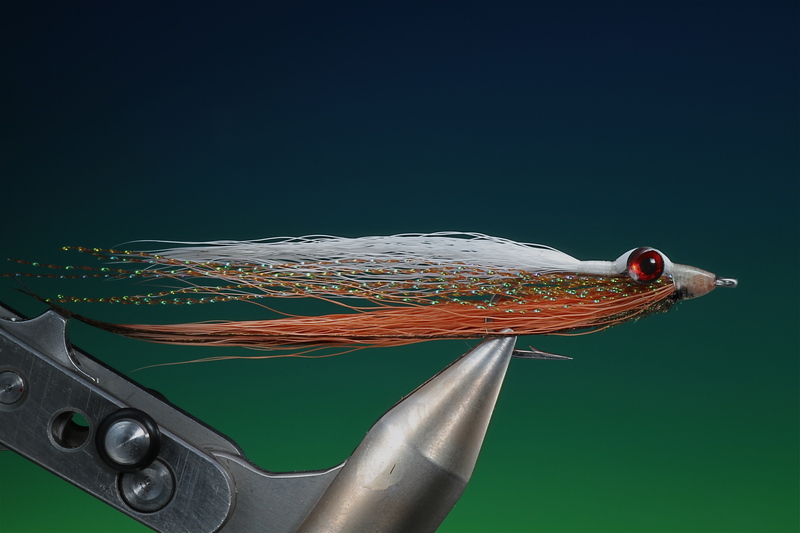 He designed the Clouser minnow with the goal of making a pattern that would represent a fleeing bait fish, with a jig motion. 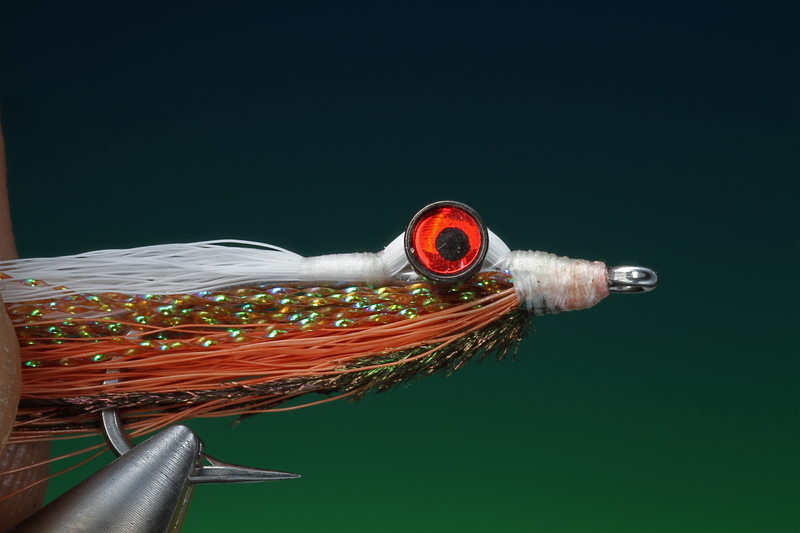 The key to achieving this is locating the eyes in the right position on the hook shank. 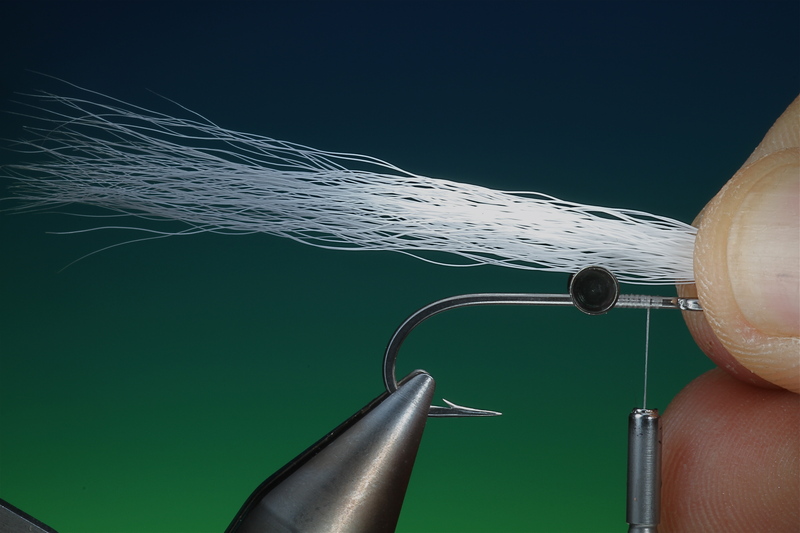 When you retrieve the fly it rises and when you pause if falls or dives. It never stops moving. 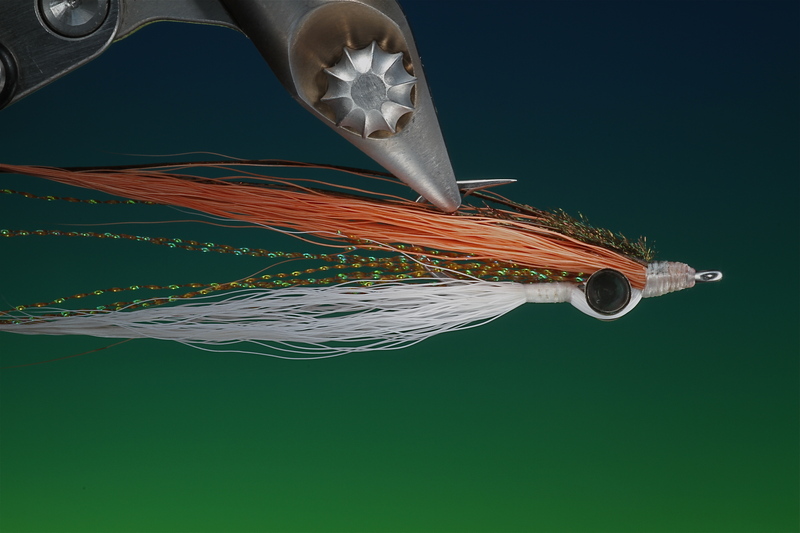 I am calling this a Variant because I dont believe it to be 100% the original Clouser deep minnow, but I may be wrong! 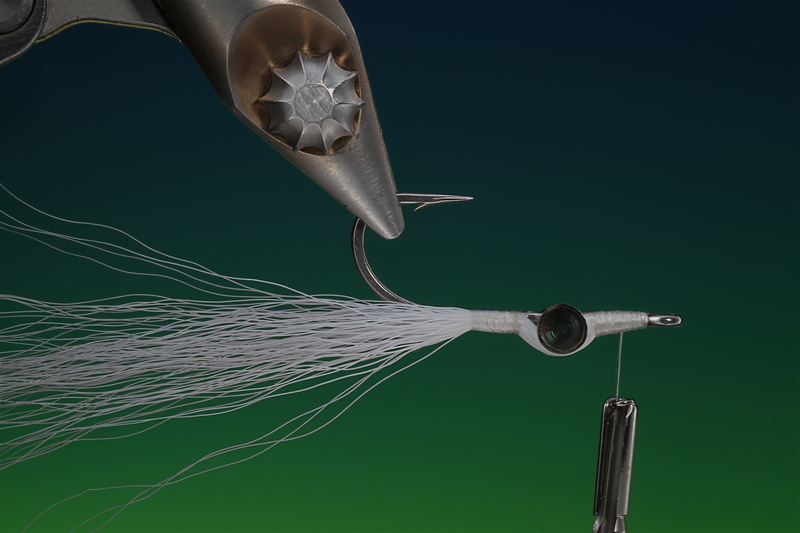 Anyway its a great sea trout and bass pattern that should be tied and tried. 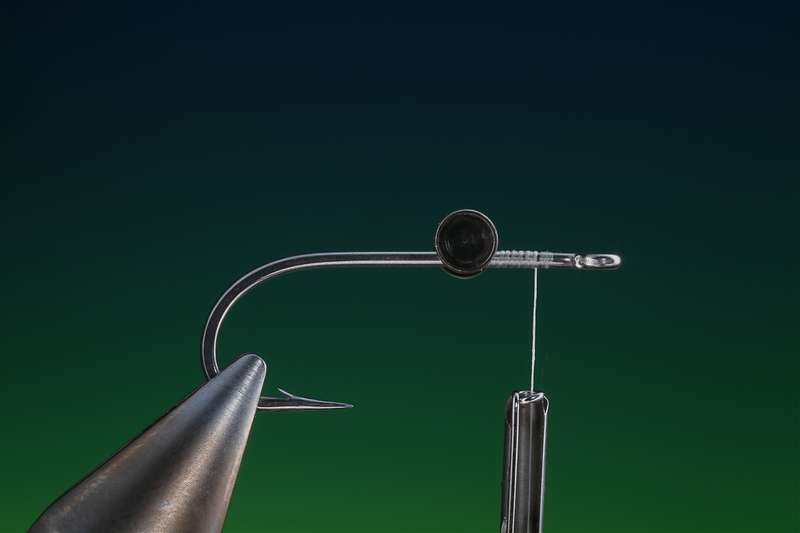 Secure your hook in the vice with the hook shank horizontal. 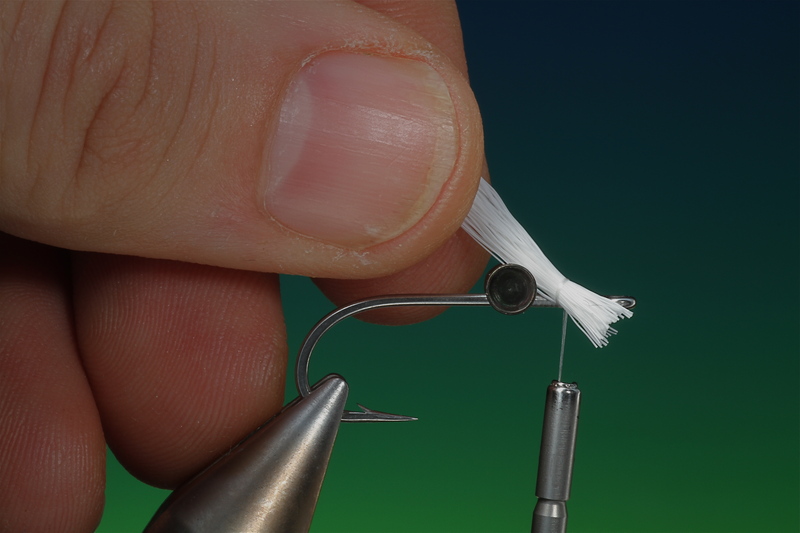 Run tying thread about 1/3 along the length of the hook shank. 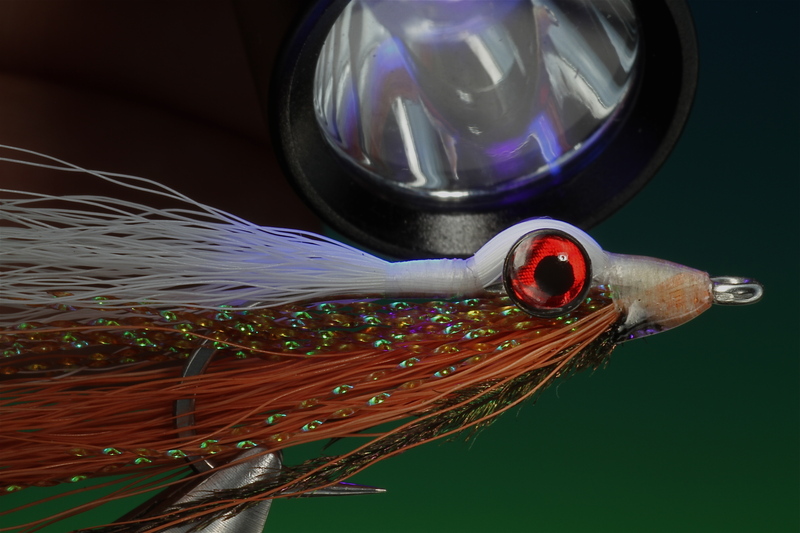 The eyes I use are bidoz sea eyes, they have a small rebate that fits nicely around the hook shank. 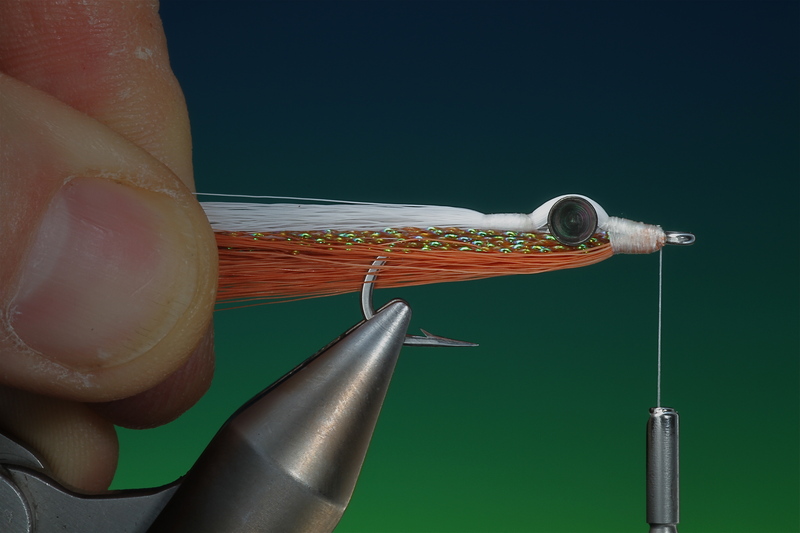 Tie in the eyes about 1/3 along the hook shank and secure with a figure of eight wrap and a drop of super glue to stop them twisting. Cut , clean and stack a length of white buck tail. 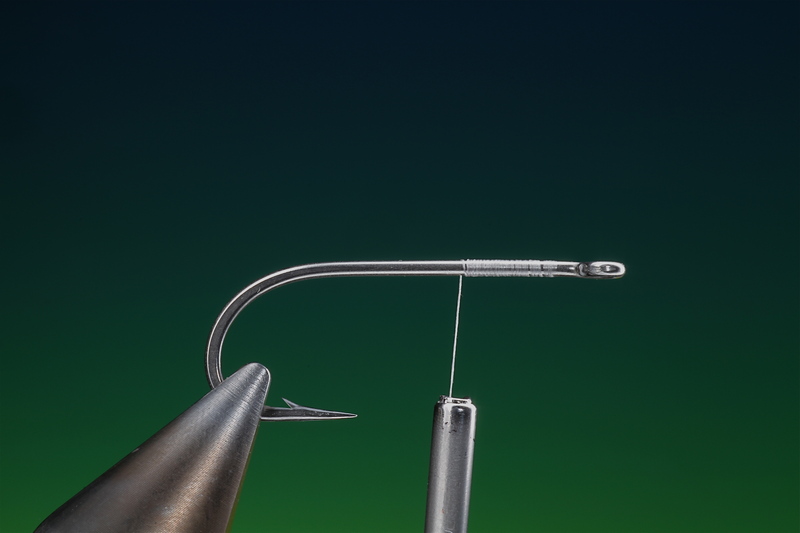 The belly and wing should be approximately two to two and a half times the length of the hook. Once your buck tail is ready tie it on as follows. 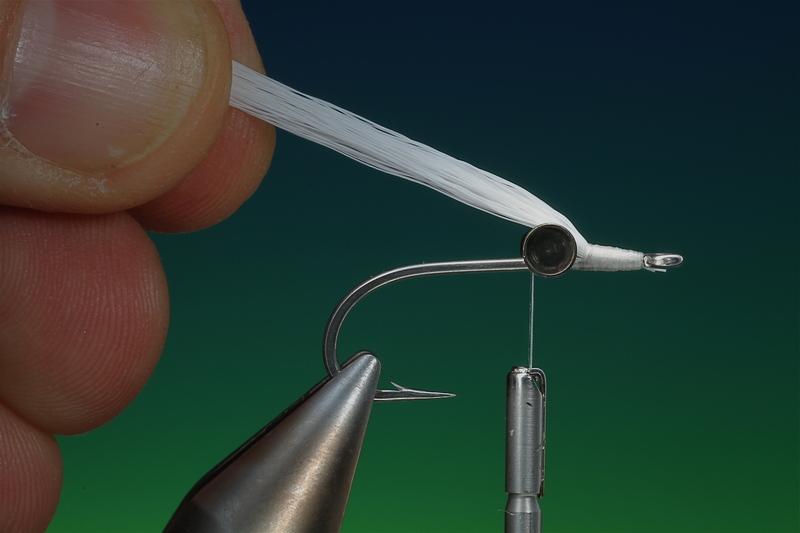 Trim the ends straight and place the buck tail diagonally at the side of the hook shank between the hook eye and eyes. 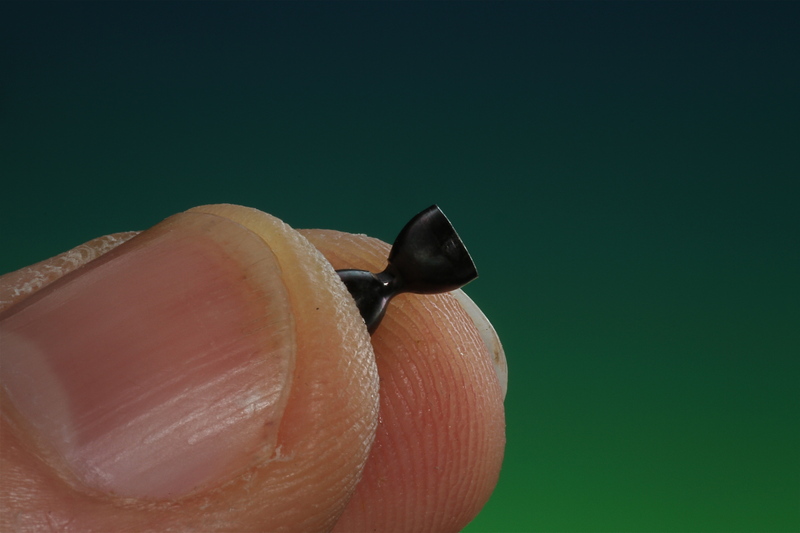 Make two loose turns around the buck tail and then tighten. Tie down the butts as shown. 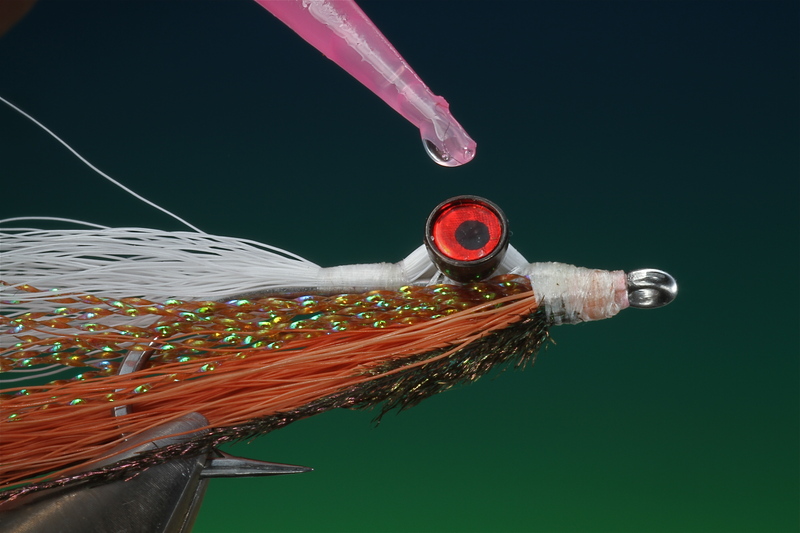 Lift the buck tail and wind the tying thread back behind the eyes. 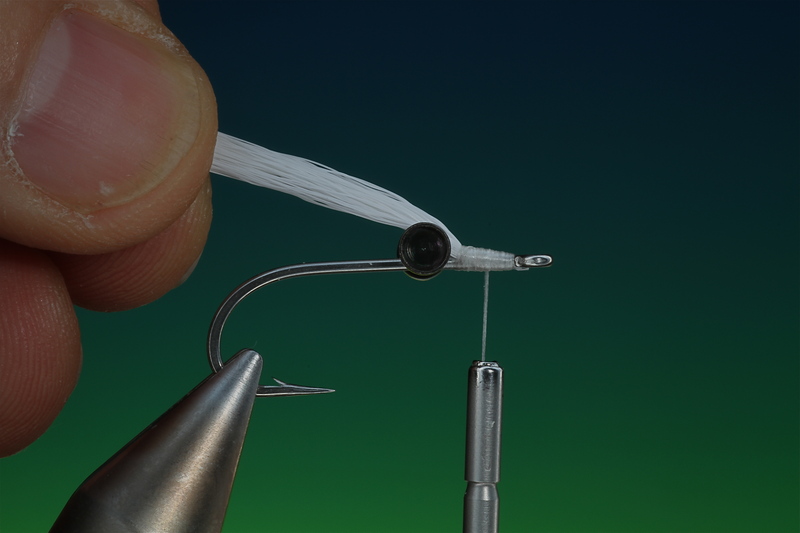 Now wrap the tying thread over the buck tail back about level with the hook point and then forward again. Making sure that the buck tail remains on top of the hook shank. Rotate your vice so the Clouser is up side down. 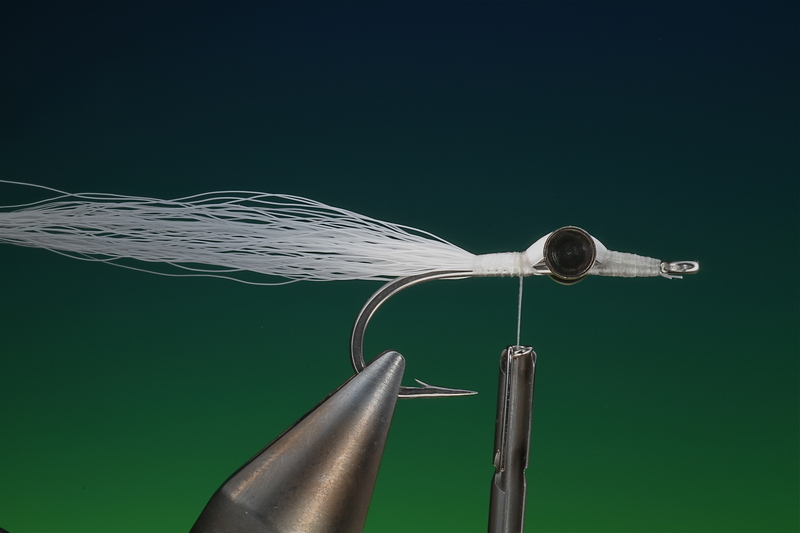 Wind your thread forward taking care not to cross over the buck tail on top of the eyes. 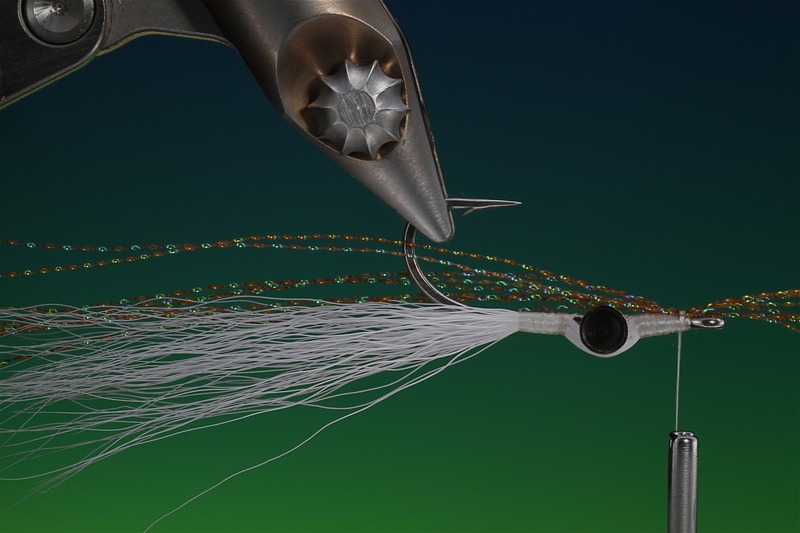 Take about 8 strands of Crystal Splash or flash and tie in so that the longest side extends just a little further than the buck tail belly. Take the remaining crystal splash and fold it back, this should be shorter and extend only a little further than the hook bend. Tie down the crystal splash. Prepare another bunch of buck tail slightly more than the first and measure it up to the belly. 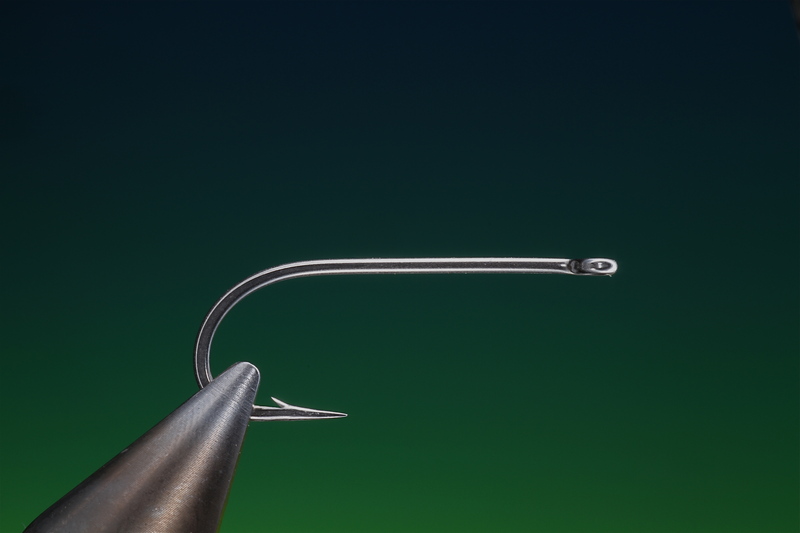 Once you have tied in your buck tail back using the same method as the belly, rotate your vice the correct way again just to see that the fly is balanced. Spin the vice round again and tie in three strands of peacock herl as the topping and whip finish. Stick some red and black prisma tape eyes in the small eye holes. Place a small drop of Bug Bond on top of the tape eyes and cure with the UV light. Coat the eyes once more with Bug Bond and the head, cure with the UV light. 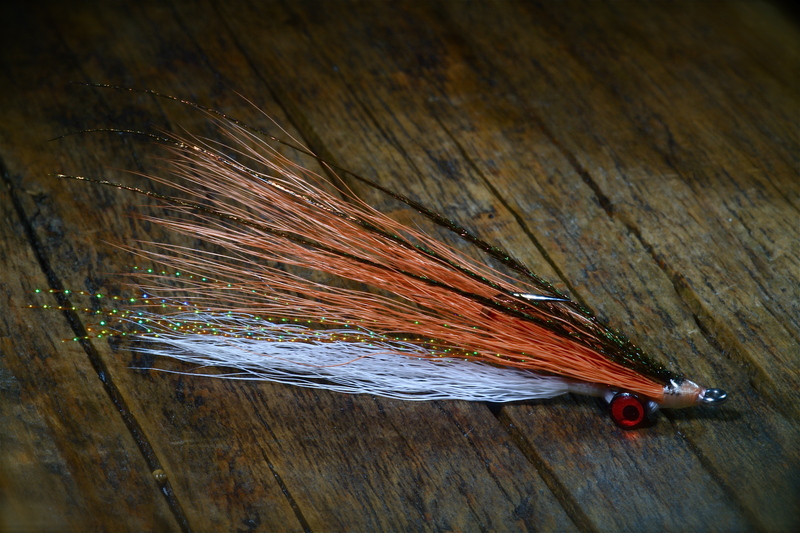 The finished Clouser deep minnow variant. You should try this pattern in the some other great combination colours, Blue & white, Olive & white and Chartreuse and white. This entry was posted on October 29, 2013 by barryoc. 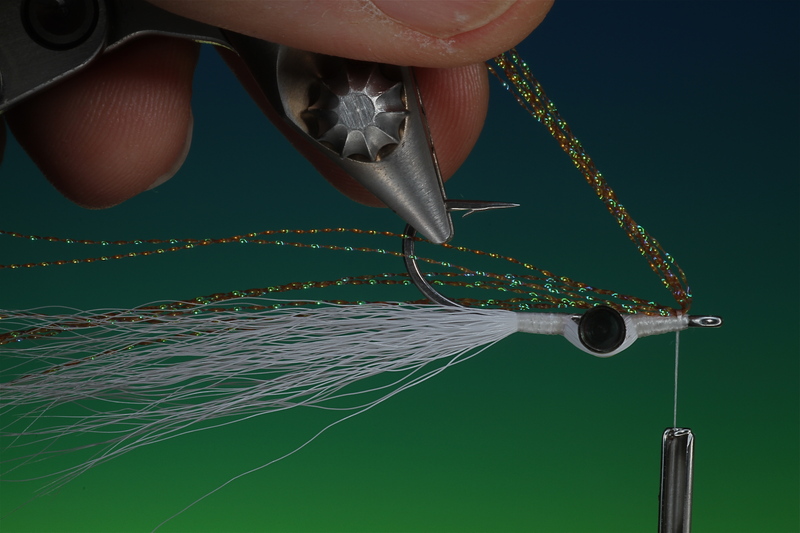 It was filed under Fly Tying, Sjøørret fluer, Step by Step and was tagged with Buck Tail, salt water, Sea trout fishing, sea trout flies, sjøørret fluer, Step by Step, streamer. Fantastically clear photo’s. Thanks again for gracing my screen with your beautiful work! Thanks Parkerjon, and the same to you! Beatiful minnow. Very clear explanations. I absolutely love your site . The patterns are so precise, and the photos are perfectly sized and detailed. I have books that do not cover the tips you show, and the details you share. If you have or ever do write a book, I would be the first to purchase. Thank you for your contribution to the fly fishing world. 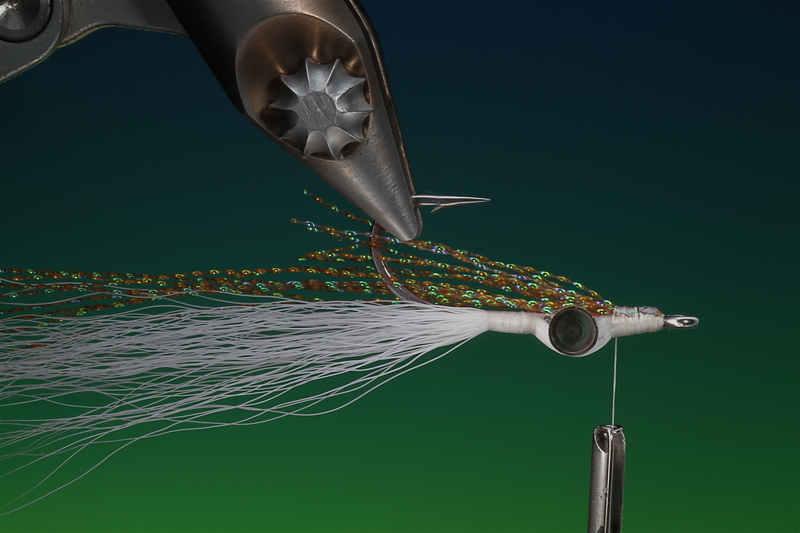 I tie better flies because of this site! I have published several books, mostly in Norwegian but also four in english, You can find them at Coch y bondu books.